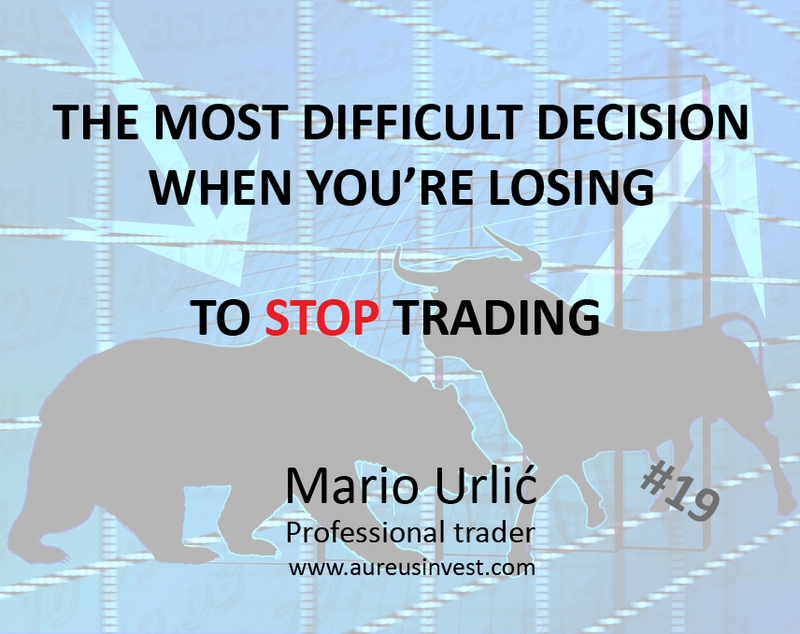 It’s essential that you do this, to stop trading when nothing goes well and it will happen. You must detect ‘the point of no return’. By this I mean on certain amount of loss which is acceptable for you to continue trading normaly day or week after. Beacuse, if you lose to much, there will be hard to return, maybe even impossible.